TerraTrike tandems are a safe and easy way to enjoy riding with another person. Each of our tandems is designed to meet the needs of different riding styles, and are well suited to accommodate nearly any pair of riders. Tandem Pro For the ultimate in partnered riding, you cannot beat the performance and quality of the Tandem Pro. The Tandem Pro features a Chro-moly steel frame, breathable Comfort Mesh seats, and high-end components throughout. It is available with Independent Pedaling System (IPS), meaning one rider can coast while the other rider is pedaling. 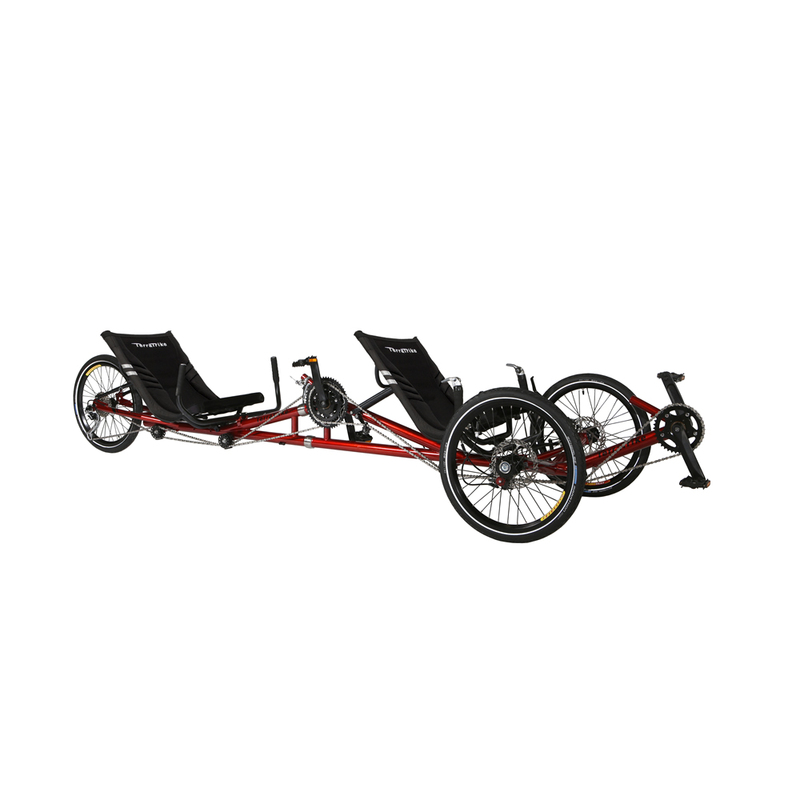 The high-performance construction and components of this tandem trike make full use of the power of two riders. The Tandem Pro is simply the best… and is sure to turn heads as you cruise by! The Tandem Pro is proudly made in the United States of America.